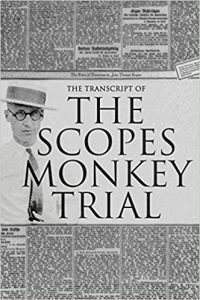 The Scopes Monkey Trial was a watershed moment in American history, pitting ‘old time religion’ against the growing acceptance of Darwinism. Strictly speaking, the Darwinists lost: Scopes was declared guilty. However, Clarence Darrow won in the court of public opinion.